“Mary” not her real name was diagnosed with breast cancer at an early age of 36 years; she was a young mother of three. Mary and her husband visited several facilities looking for cure and just like many Kenyans suffering from cancer she could not afford treatment in private facilities and most public facilities had limited resources to take care of her illness. Her condition deteriorated and by the time she was celebrating her 39th birthday, the cancer had spread to the liver, spine and lungs. She was bedridden, constipated, had developed bedsores and was in a lot of pain. “Who will take care of them?” – referring to her children, she asked the palliative care team who were supporting her. Provision of palliative care is complex and requires holistic approach. Palliative care providers have to focus on a “total person”; physical, social, psychological and spiritual needs of the individual and their families. 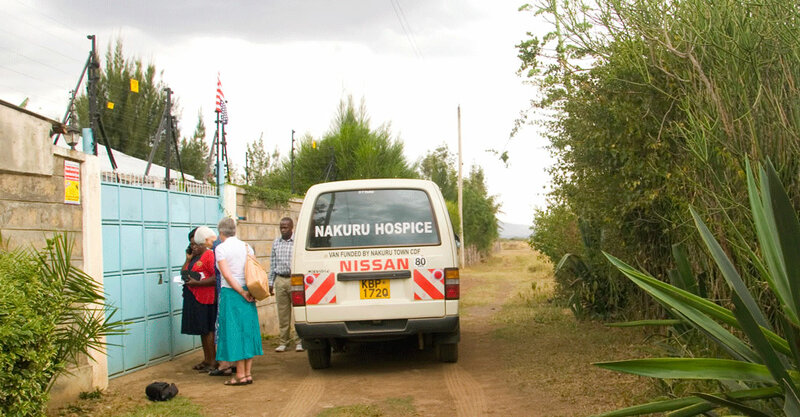 “We have to work as a team to address their needs” said Head of the palliative care team –Nakuru Level 5 Hospital. The palliative care team managed to control Mary`s excruciating pain using morphine, the recommended analgesic for severe pain. The team also provided counselling to her and her family including the husband and her mother-in-law, and discussed care for the children by the family. By the time she was leaving the hospital she was pain free, was able to feed, sleep and the foul smelling wound was managed. “I have not seen her smile for the last 3 years, even sleeping was a problem. Thank you for restoring her smile” commented Mary`s husband. Upon discharge she was linked to a hospice which continued to take care of her. Mary passed on the same year at home surrounded by her family.